The Peak District as a whole is one of the most beautiful places in England, and within it, you can find some really unique and interesting towns. The name Buxton may resonate with you as a brand of mineral water, and indeed, it does come from here, but there is much more to this spa town than that. 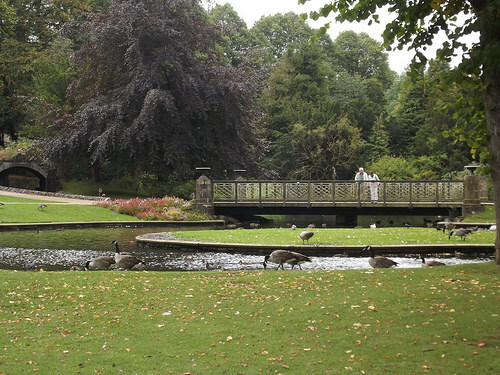 Located within easy reach of Manchester and Derby, in the heart of the High Peak area, Buxton is regularly voted one of the best destinations in England to visit, and for good reason. Here, we take a look at what this charming town has to offer you as a tourist. Part of the appeal of Buxton is simply walking around the town. It has a quaint feel which is extremely relaxing, with tea shops, lace shops and other things that can make you feel like you have gone back in time to a simpler time. Of course, the town is not just a big museum displaying things from the past, so you will find all of the normal amenities you would expect in a small English town, but if you want to go for tea and cakes or have a drink in a traditional pub, you will find plenty of charming places to do so. If you want even more relaxation, you can head to the Pavillion Gardens. This is 23 acres of beautiful land which features pleasure gardens, an exhibition centre, a health club, cafes and other amenities. It is a tranquil and enjoyable place to take a walk if you don’t want to face the ruggedness of the countryside surrounding Buxton! One of Buxton’s major landmarks is the Devonshire Dome. Built in the 1700’s to accommodate horses, this is a beautiful historical construction which now features beauty salons, spas, restaurants and other luxurious things to do. Bigger than St Paul’s Cathedral, the dome is worth seeing from the outside even if you don’t want to take advantage of the things inside! Buxton also has a Go Ape park, for the more adventurous visitor. Aimed at kids of 10 and over, this is a park where everything is set among the treetops in the forest, with zip lines, rope swings and plenty of other fun and exciting things to do. It is a lot safer than it sounds, however, with harnesses and safety nets provided! Buxton is a town that receives a lot of tourists every year, and as such there are plenty of options when it comes to where you can stay. If you are looking for luxury, or visiting for a special occasion like a wedding or anniversary, there are five star hotels and spas which will pamper you and make your stay as luxurious and unforgettable as possible. If you are looking for a normal two to four star hotel, you will also find this easy to come by here. Bed and breakfasts are also available, and you could also find caravan and camping facilities close by in the Peak District.